New Smyrna Beach is located in Volusia County on the east coast of Florida. It has a population of about 23,600 residents. The city is found very close to the very popular destination of Daytona Beach. Along with the larger population of the county, which is close to 500,000 residents, the area sees millions of visitors every year. With Daytona Beach right up the road, New Smyrna Beach becomes a popular spot for NASCAR fans and others coming into the area for one of the many events held annually. Not only do visitors come from around the country, but they also come from Orlando, Jacksonville and other larger cities in Florida. Mixing the population with the many visitors coming to the area every year means busy roadways. Visitors also come with a different driving style and they are often unfamiliar with the roads. New Smyrna Beach is served by Interstate 95. The Florida stretch of I-95 has been dubbed the deadliest stretch of highway in the entire country. About 6,500 traffic accidents happen throughout Volusia County every single year. Nearly 125 fatalities and 5,000 injuries come from those yearly accidents. Traffic crashes in the New Smyrna Beach area are on the rise. If the authorities didn't do their job and monitor the roads, the traffic crash statistics would be much higher. About 37,500 traffic tickets were given to drivers breaking the law in Volusia County for 2015. Out of these drivers, more than 13,000 were caught speeding and nearly 4,500 were caught for careless driving. Judges in the area don't like to dismiss the tickets, as only 13% of the total tickets were dismissed by a judge in 2015. Having your driving privileges suspended is a big deal. If this happens and you get caught driving, you will face up to 90 days in jail and an additional $500 in fines. In addition, you will need to find a ride for the time your license is suspended after you get out of jail. 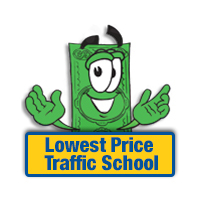 You can avoid license suspensions by using traffic school online and obeying the traffic laws. Each ticket comes with points, which go on your driver's license when you get a ticket. If you take the basic driver improvement course through online traffic school, you can avoid the points from going on your license, however. If you receive 12 points over a 12 month period, you will lose your license for 30 days. Extend that to 18 points over 18 months and you will lose your license for 90 days. If it gets worse and you get 24 points in 36 months, you will lose your license for an entire year. Taking the basic driver improvement course through online traffic school will allow you to avoid points from going on your license. You can easily enroll right online and complete the course from the comfort of your home. You will need to pay the fine associated with your ticket and let the clerk of the court know you will be enrolling in traffic school. Then, enroll in the basic driver improvement course, complete the course and receive your certificate of completion. Just turn in your certificate to the clerk of the court and you're all done. If you take the course online, you will be able to keep points off your license and keep your insurance rates from going way up. This will also give you a bit more padding if you do flirt with a license suspension in the future. 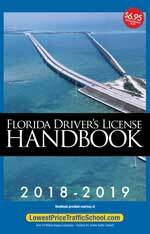 The State of Florida gives drivers five chances to take the basic driver improvement course and avoid points on their license. However, drivers can only use this method once every 12 months. If you haven't enrolled in traffic school five times already or in the past 12 months, you're eligible. The clerk of the court can provide more information about your traffic school eligibility. After you receive a traffic ticket in New Smyrna Beach, you will have to work with the Volusia County Clerk of the Court for payment and information. They will take your certificate of completion from traffic school, as well. Get more information about the Volusia County Clerk of the Court at their website.